Chris Paul is headed to the Houston Rockets. LOS ANGELES—Point Guard Chris Paul, nine time NBA all-star, the heart and soul of the Los Angeles Clippers has been traded to the Houston Rockets. The Rockets will send the Clippers a package that includes guards Patrick Beverley and Lou Williams, forward Sam Dekker and a 2018 first-round pick (protected No. 1-3), league sources told The Vertical. There are smaller parts to the deal, including non-guaranteed contracts, league sources said. 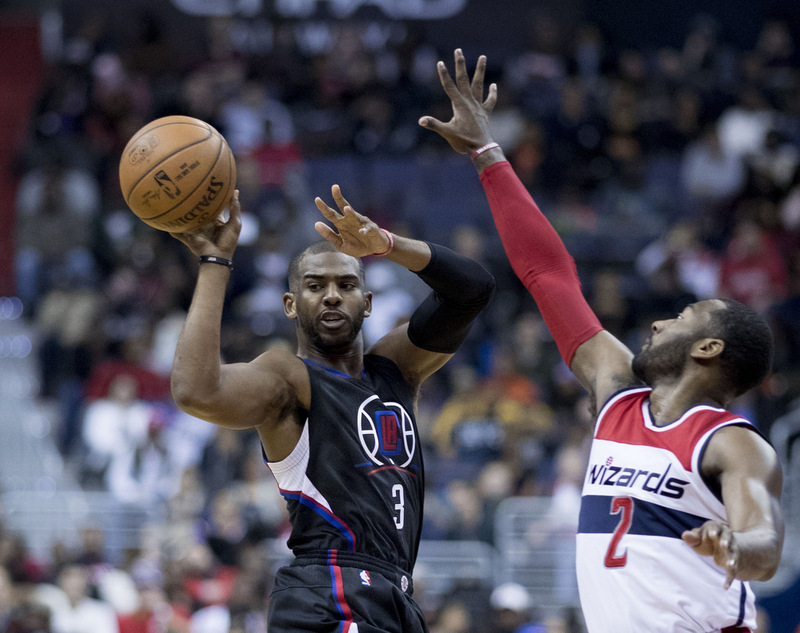 During his six year stint with the Los Angeles Clippers, Chris Paul led the team to five 50 + winning seasons, and led them to the Playoffs every season with the team. This is a heartbreaking day for Clippers Nation. The duo of Paul and Blake Griffin is no more, we will never witness another gravity defying alleyoop from Paul to DeAndre Jordan. Last week, Paul opted out of the final year of his contract to join up with James Harden in an attempt to dethrone the Golden State Warriors. He is expected to sign a five-year deal worth $205 million. Sources close to the situation say Paul was frustrated with Head Coach Doc Rivers nepotism regarding backup point guard-his son Austin Rivers-Paul believed Rivers was never a good fit for the Clippers. Six years ago when Paul became a Clipper, it seemed like they were poised to dominate the So. Cal landscape in the wake of the Lakers going from champions to chumps. Well, dysfunction and playoff collapses have resulted in zero titles; not even a berth in the Western Conference Finals. The organization decided to get something in return for the dazzling point guard, rather than him simply walking away. The Clippers are back to rebuilding: priority number one is locking up Blake Griffin to a max contract. The team is also attempting to resign J.J. Redick. Although, he just announced his intentions to leave the Clippers as well. The backcourt of Paul and Harden is a frightening prospect for the rest of the NBA. Harden was the 2016-2017 MVP runner up, and became a true point guard in the Rockets run and gun offense. Paul can distribute, while Harden work off the ball in certain situations. Paul, the 32 year-old veteran has never won an NBA title, unlike his ‘Banana Boat’ buddies including Dwayne Wade and LeBron James. He has played in the most postseason games without ever appearing in the NBA Finals. This season ended in the same manner as the previous 3 years. Griffin gets injured, Paul lashes out at his teammates and finally, the Clips are eliminated by inferior competition. Lather, rinse, repeat. Thank you Chris for your wonderful years in LA. He played six seasons with Los Angeles after six seasons with New Orleans. For his career, Paul has averaged 18.7 points, 9.9 assists and 2.3 steals per game.